User payload with 1,000kgs MTPLM: 280 kgs. Wheelhome DASHAWAY 'e' caravan. 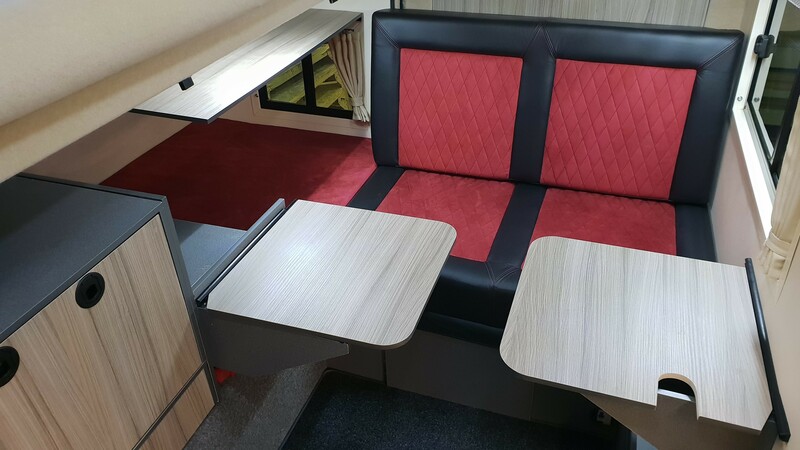 From £19,650 for the one berth and £23,825 for the two berth. 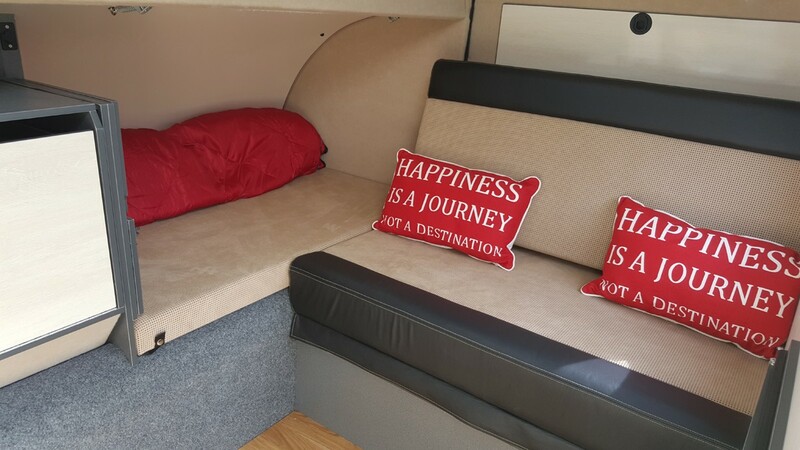 A high quality little touring caravan quite simply unlike anything else on the market. 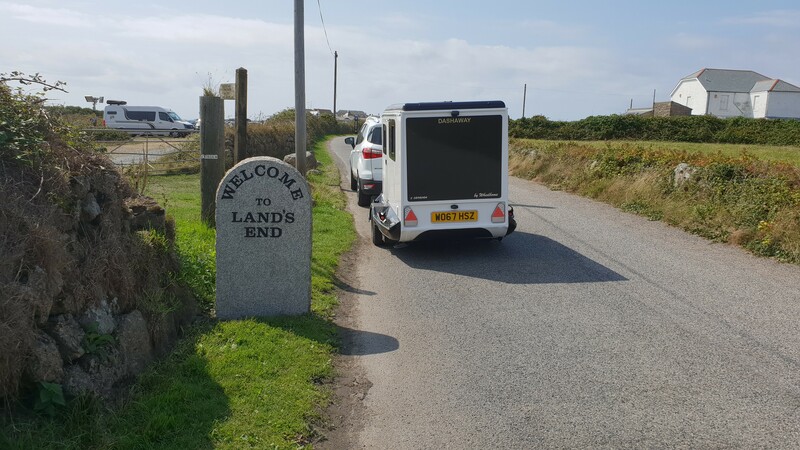 Designed specifically to meet the challenges and demands of the latest and forthcoming vehicle legislation/technology to allow you to enjoy your leisure time, not just today but for the future too. 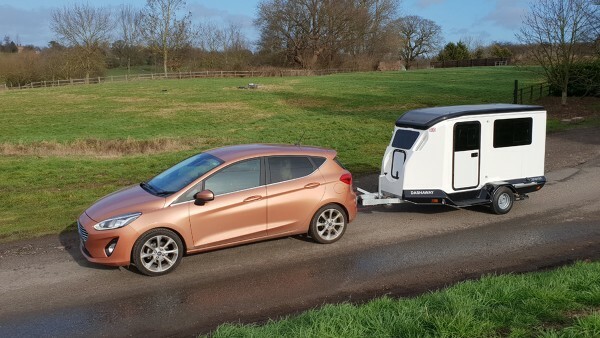 Future-proof caravanning has arrived! Tow-able by most little cars, old and new, such as Ford Fiesta, Suzuki Swift with a towing capacity of 750kgs or more. Also bang-up-to-date diesel and petrol cars. 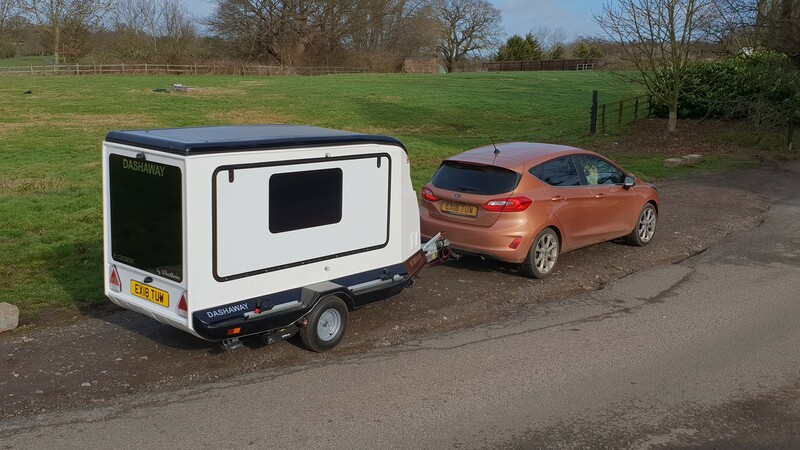 Dashaway's lightweight and streamlined dimensions mean it can even be towed by some current Hybrid cars, such as Toyota Corrola and Volkswagen Golf GTE, which is an excellent "Plug-in" Hybrid. Fully electric cars as and when they become viable. 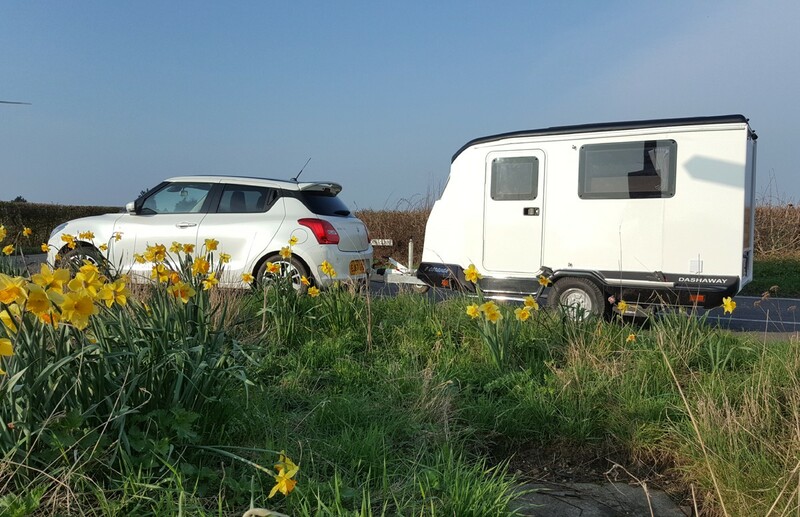 Dashaway e caravan (‘e’ being for electric) is super-stable, compact and light-weight on the road, making minimal demands upon the tow car. 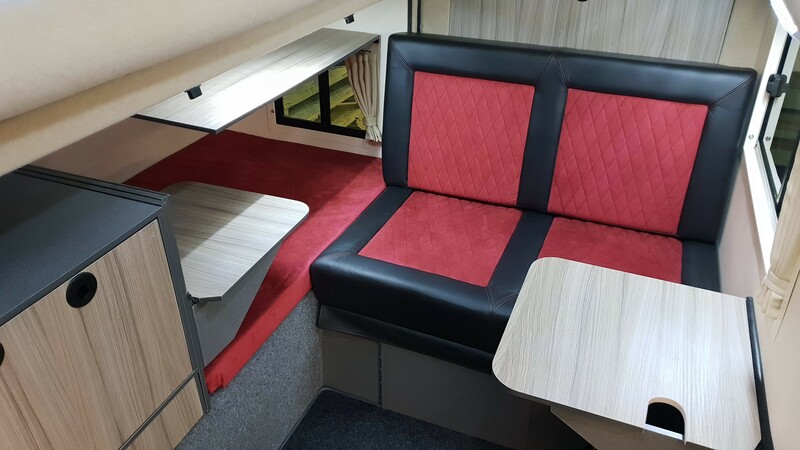 On the road, the Dashaway interior accommodates the retracted ‘Podrant’. This is in stark contrast to a ‘normal’ caravan where you’re lugging around a large and mostly empty box of air. Dashaway; makes sense then, doesn’t it? Once on site, or in a lay-by for a snack, the space enhancing Podrant electrically deploys in just 30 seconds. 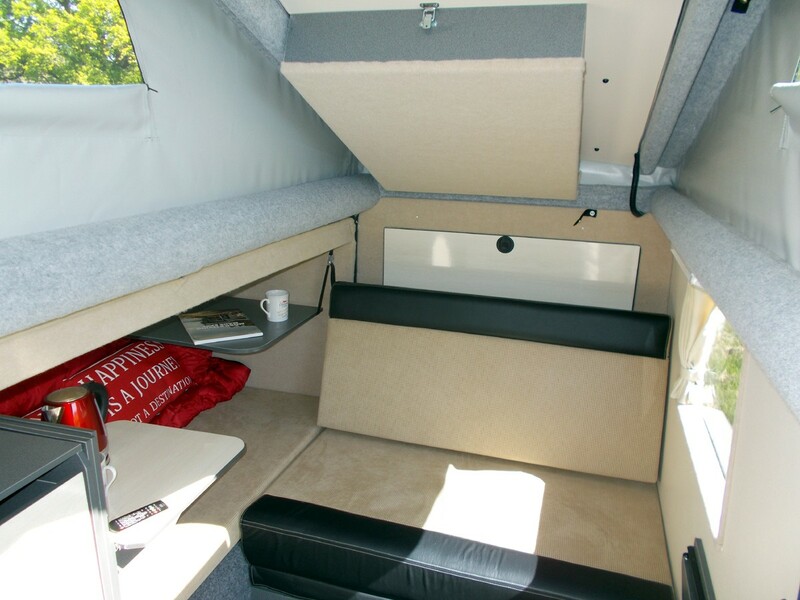 The two berth Dashaway has a class-leading double bed 6'5" x 4'2". 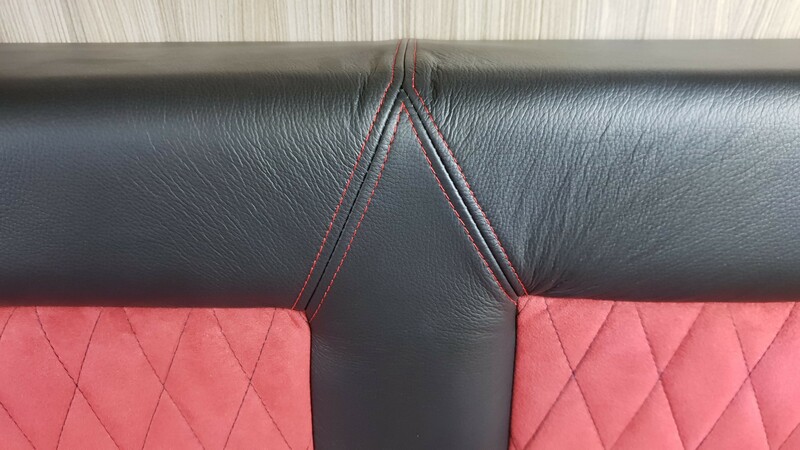 What's more, it is made up by repositioning just a single cushion! Can any others offer that? 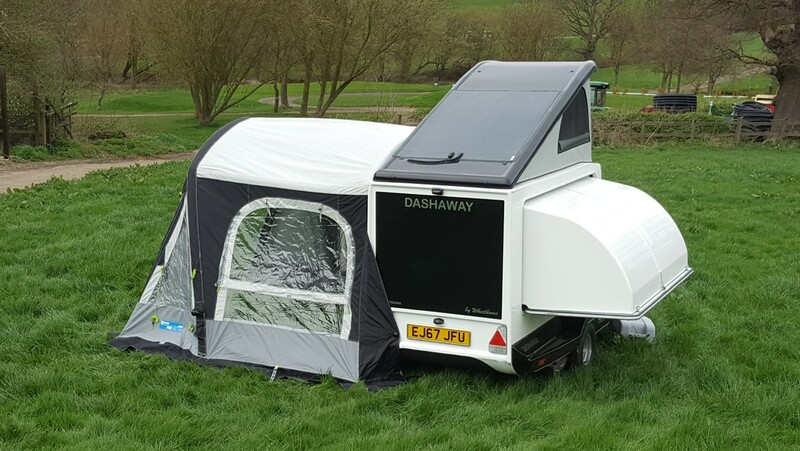 Dashaway e caravan has all electric cooking so it’s gas free! 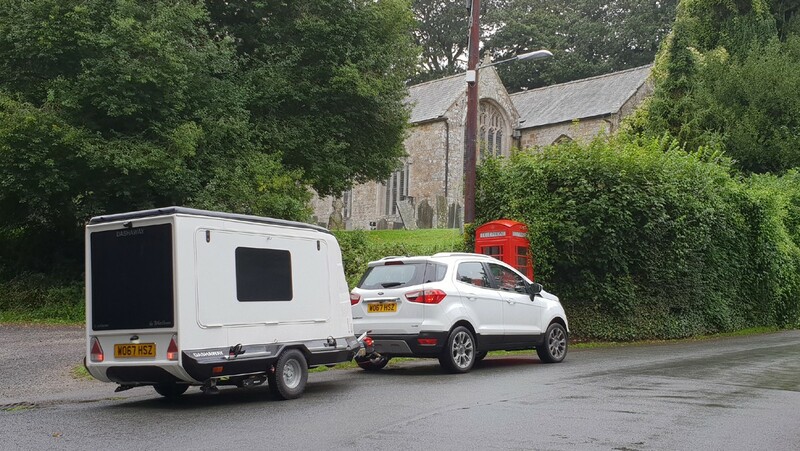 (as have our motorcaravans for years). 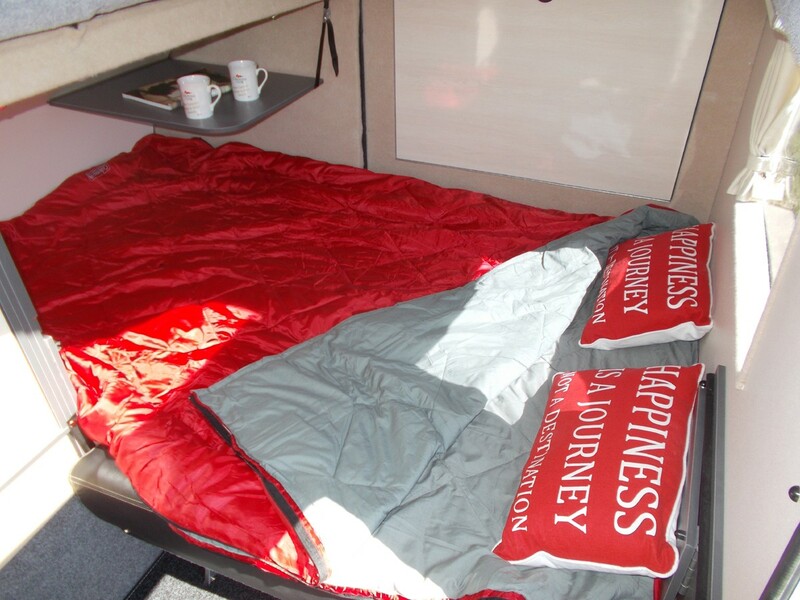 With systems in place to provide independent of campsite hook-up for on-route and overnight stops. 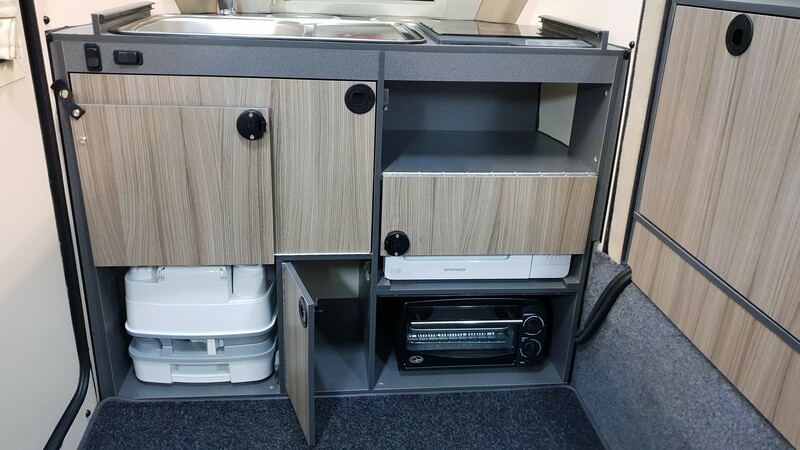 At a smidgen over 6' high Dashaway is eminently garageable - no storage charges! 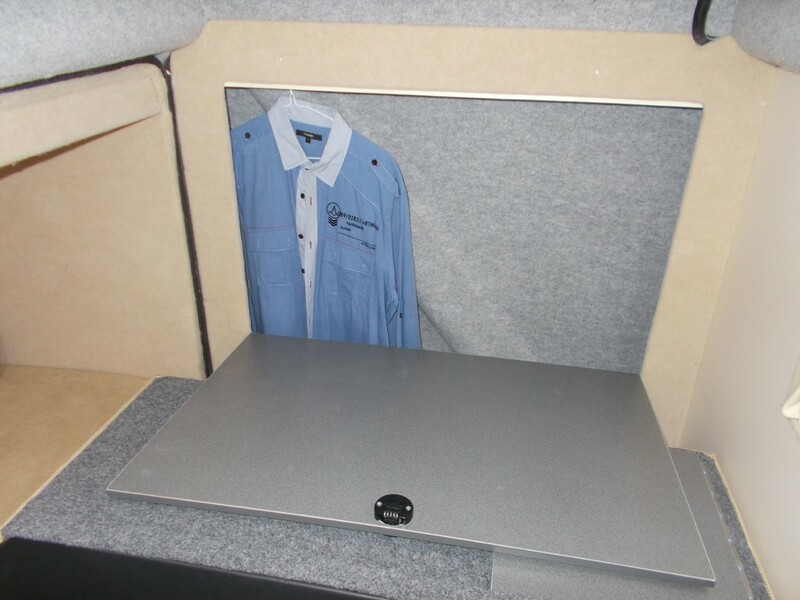 and you keep your Dashaway safe and secure, in top condition ready to ‘Dashaway’ on a whim! Even an electric motor mover has been ‘designed-in’, as standard, as are twin fresh and waste water tanks (on wheels). The design ensures all facilities remain accessible at night time with decent floor-space for the Porta Potti. 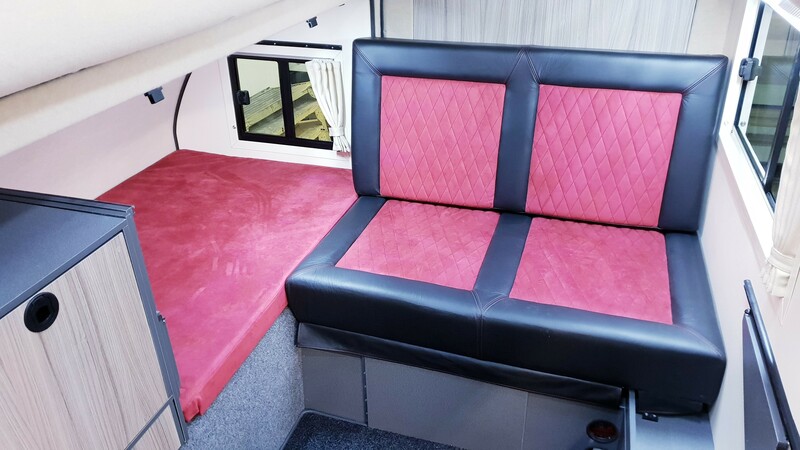 High quality, sturdy, insulated fibreglass body, leather/suede upholstery, high quality equipment including electrically deployed elevating roof and Podrant. Electric motor mover ‘designed-in’, as standard. All electric cooking so no heavy gas bottles to struggle with. Huge solar panel designed to perform even in poor light. Oh-so-convenient worktop litter and laundry ‘chutes’. Have to be seen to be believed! Integrated entrance step so you won't need to carry a portable one. En-route cooking and water facility. Under 6'1" high (1.84m) so will easily store in a typical garage and is class 1 on French motorways with appropriate tow-car - so it’s free! Porta Potti conveniently located next to entrance door. 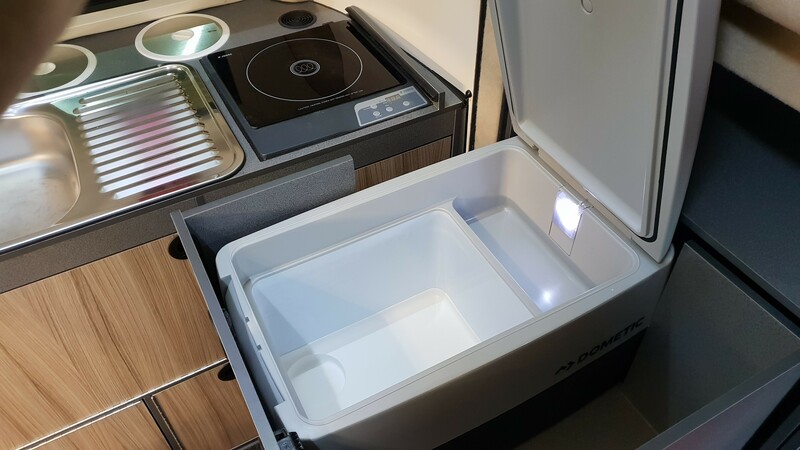 All kitchen facilities and Porta Potti remain accessible even with bed in place. Simple levelling; Jockey wheel quickly levels front to rear. Side-to-side; place a wedge/ramp behind one road wheel and ‘drive up’ until level using Motor Mover. No struggling. Fresh and grey water tanks can travel on floor inside (supplied) or in tow car if you prefer. Multiple LED interior lights. Fitted and lined curtains. 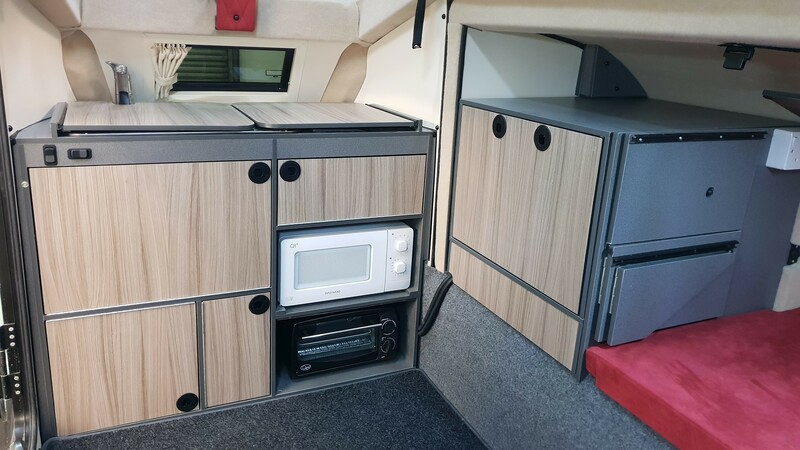 Unique Wheelhome cooking and electrical system. 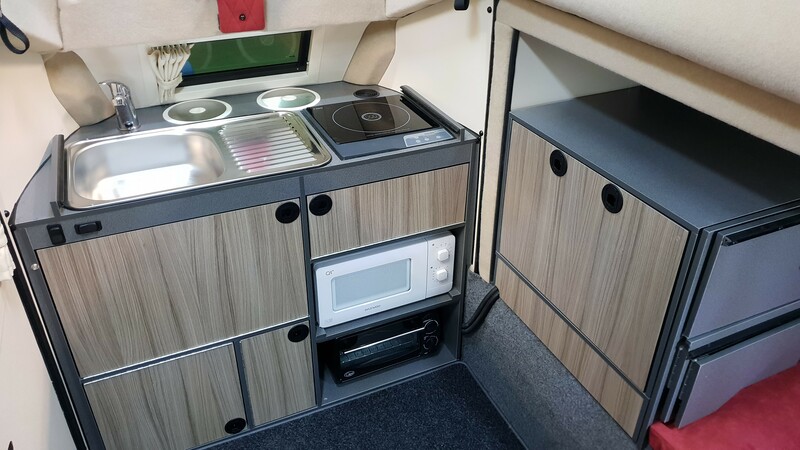 Dashaway has a unique to Wheelhome, independent all electrical cooking set-up which includes an Induction hob (a fast and efficient cooking system with instant heat control) and microwave (plus you can have an oven/grill too), which run from the built-in Inverter and battery, or campsite hook up. Therefore, many mains voltage appliances can be used including sandwich makers or a kettle. What is an Inverter? A device that cleverly changes 12 volts from the very high capacity auxiliary battery into 230 volts. How long will the battery last and what about recharging? A decent evening meal plus breakfast and drinks - ie an overnight stop without hook up. However, in reasonably bright weather, Dashaway can actually be self sufficient thanks to the bespoke solar panel. 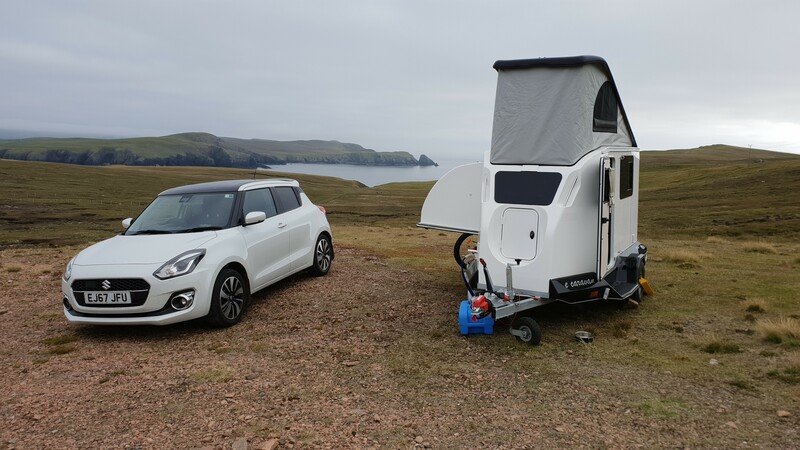 When connected to campsite hook-up, the battery is kept ‘topped up’ by a battery charger so you can use the inverter as well as hook up. Fresh water storage is a 23 litre portable tank (on wheels). 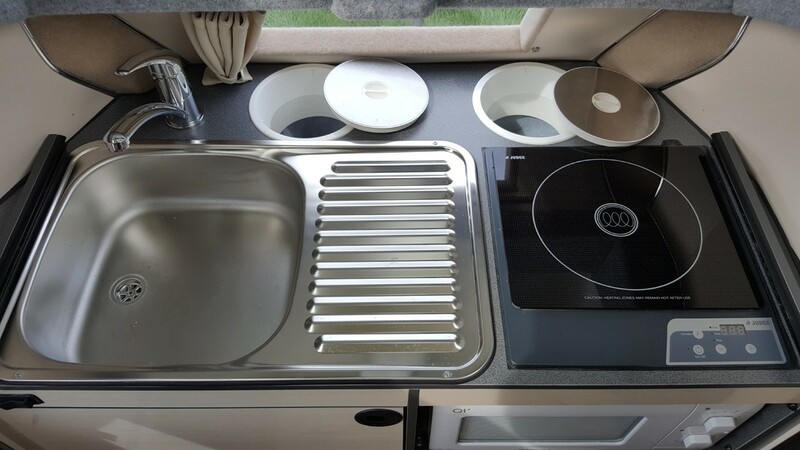 The water is electrically pumped to the stainless steel sink and drainer. A 23 litre waste (grey) tank is also provided. 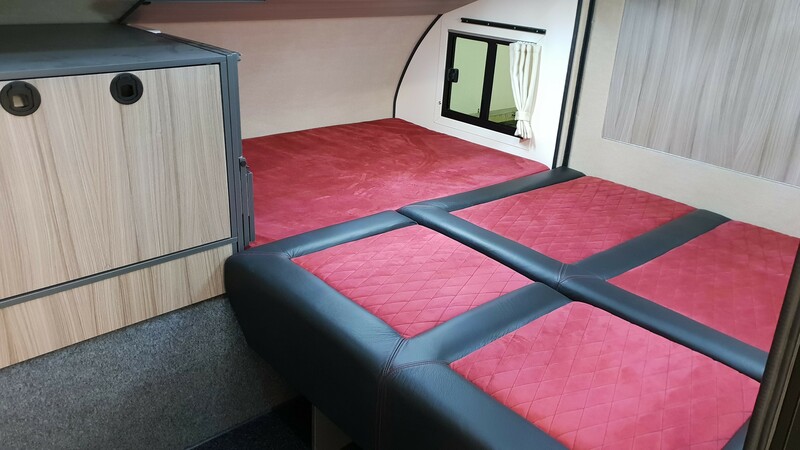 DASHAWAY e caravan. Prices include V.A.T @ 20%, delivery to your home anywhere U.K. mainland, and 12 months Wheelhome warranty. Dashaway towed here with a Ford Fiesta automatic with a 1 litre turbo petrol engine and automatic gearbox. Style and quality. We achieved over 32 mpg. The car is wider than Dashaway so this means we don't have to mess about with additional "towing mirrors". 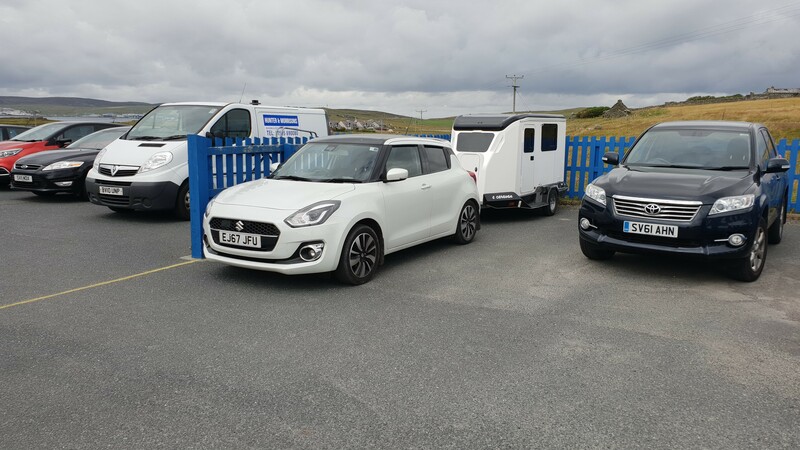 Dashaway towed here with a Suzuki Swift with a 1 litre petrol engine and automatic gearbox. 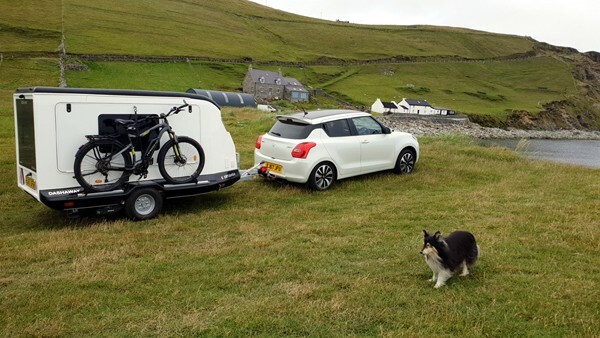 We achieved over 33 mpg and that was whilst carrying one electric bike to Shetland. That's better than some larger tow cars on their own! The car is wider than Dashaway so this means we don't have to mess about with additional "towing mirrors". Dashaway to Cornwall. Dashaway towed here with a Ford Ecosport which is an upright version of a Ford Fiesta with a 1 litre turbo petrol engine and automatic gearbox. We achieved over 31 mpg. The car is wider than Dashaway so this means we don't have to mess about with additional "towing mirrors". 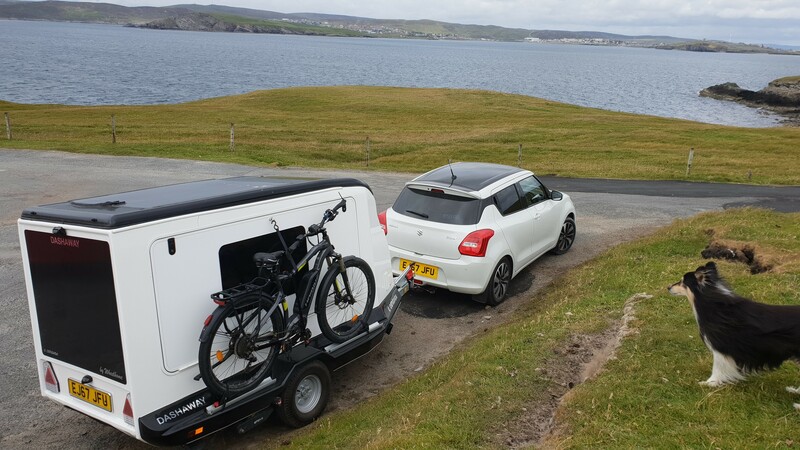 Dashaway towed here all the way to Shetland, carrying an electric bike, with a Suzuki Swift with a 1 litre petrol engine and automatic gearbox. We achieved over 33 mpg. The car is wider than Dashaway so this means we don't have to mess about with additional "towing mirrors". 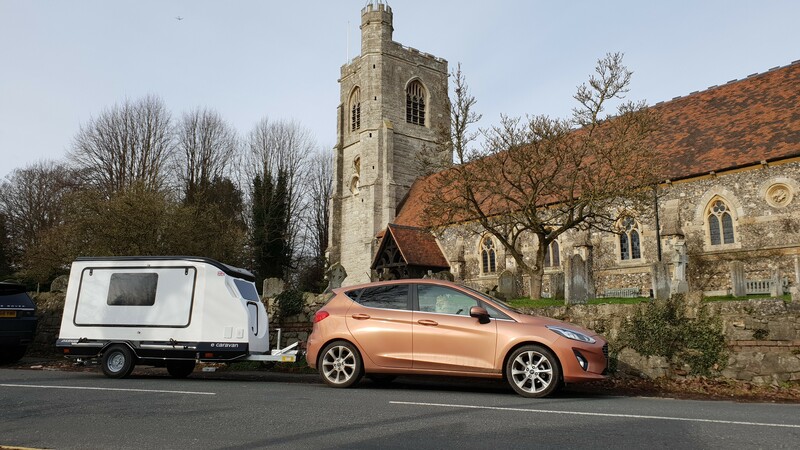 Wild camping with Podrant and roof deployed. From the front. Note water tanks in position, wheelclamp was probably a bit over the top, in Shetland. Podrant deployed gives an amazing spacious lounge for two people to relax and spread out. 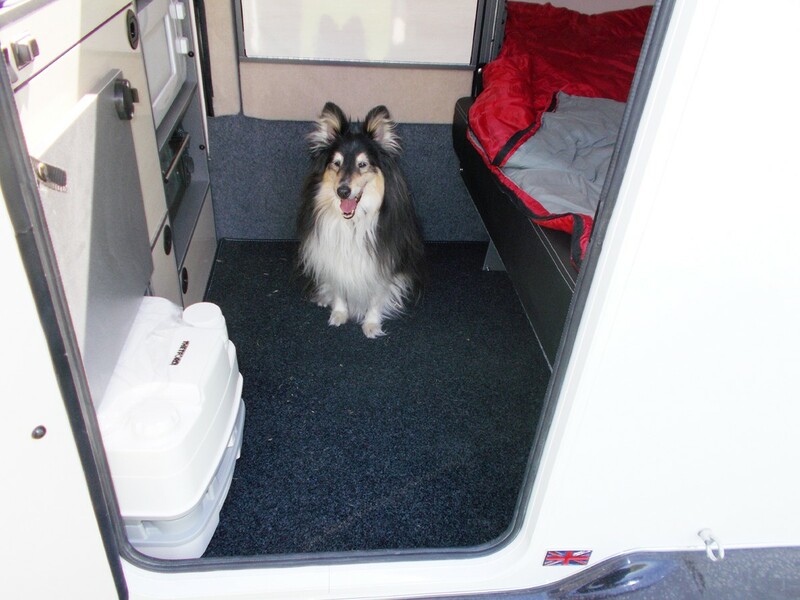 Floorspace for dogs too. Feet end of bed goes across the Dashaway, into the Podrant. Just reposition the backrest cushion and you've made the huge double bed, that's it - one cushion! Huge double bed. 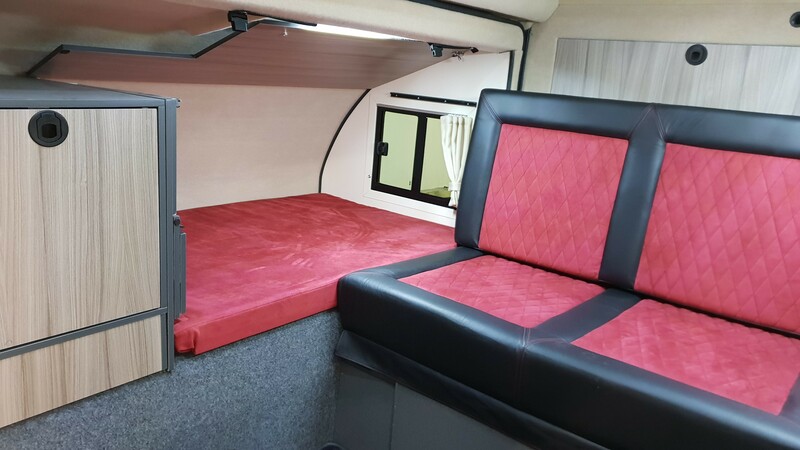 In fact, at 6'5" x 4'5" we believe this is the largest double bed in it's class. Dashaway has two tables. The one on the left rotates (complete with plate!) into the Podrant to allow access through to kitchen. Light and airey interior. Black leather and beige Alcantara. Technology centre! 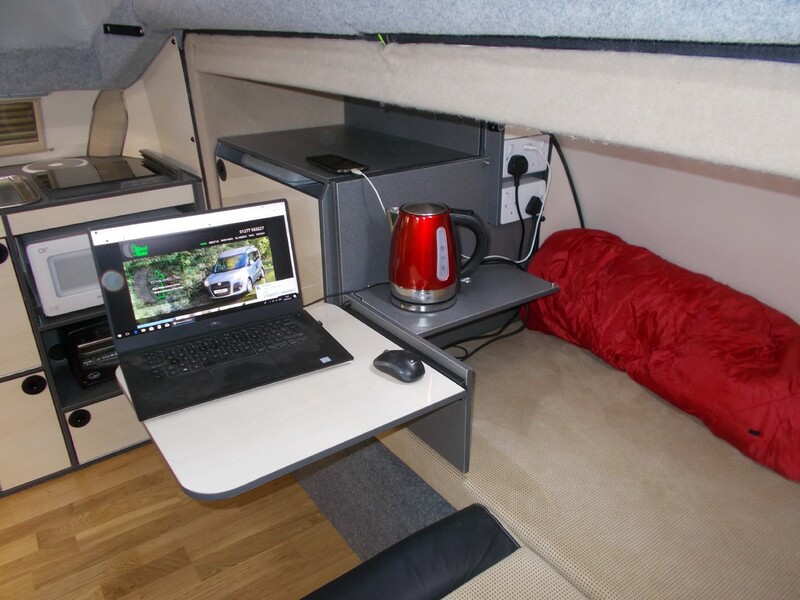 Use your laptop, charge your phone - or boil a kettle! Space! Note the bedding is rolled up into the Podrant, right out of the way. Travels here too. Great kitchen with induction hob, microwave and electric oven/grill. What more could you wish for? Remember this caravan fits in your garage! Is this a first? How about a built-in litter bin and laundry "chute"! Just lift the lid and drop inside! Conveniently serviced through external front locker. Top-loading 36 litre compressor fridge pulls out from Podrant, virtually silent, very efficient and conveniently slides out of the Podrant for top-loading access. 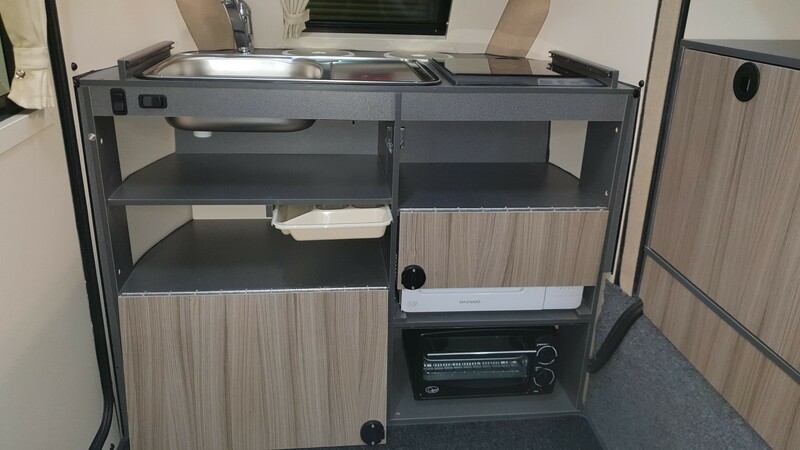 Here the double bed is in place and Porta Potti partially removed from its dedicated storage position. There is plenty of floor space remaining. Dashaway has a "two rail" hanging wardrobe for maybe 10 garments. Drop down storage in the roof, rather like a slim suitcase, unique to Wheelhome. Dashaway behind Suzuki Swift, you can just about see it in the top left of mirror. 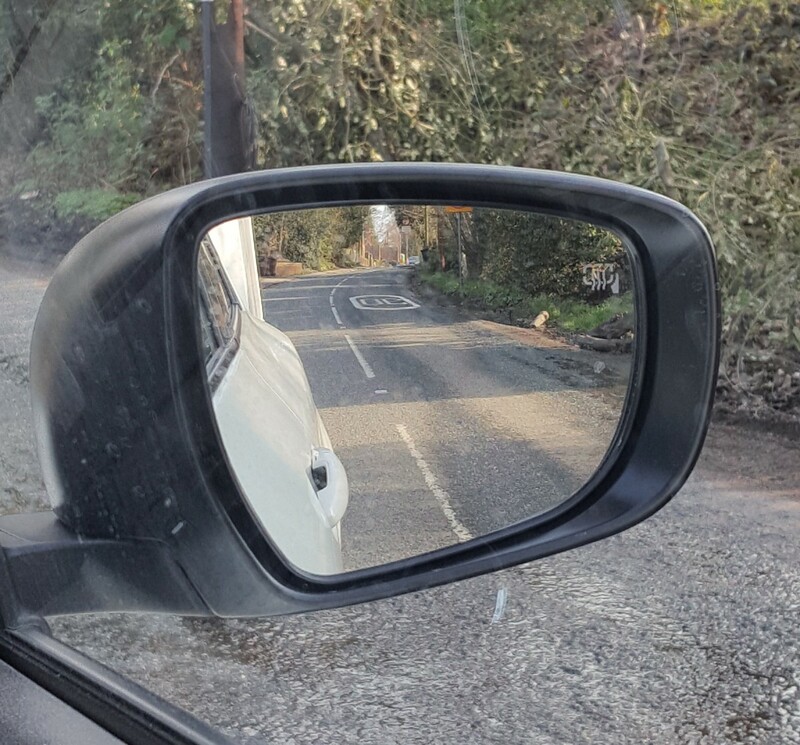 As the car is wider than Dashaway this means we don't have to mess about with additional "towing mirrors". 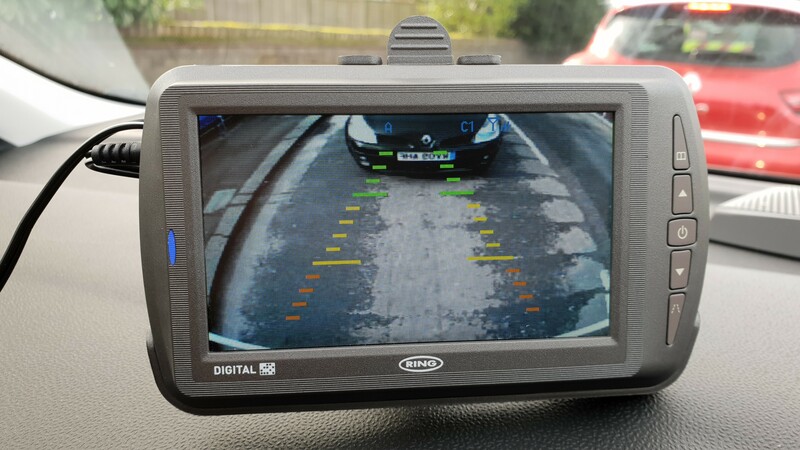 Dashaway is available with a colour "wireless-to-dashboard-monitor" rear view camera. 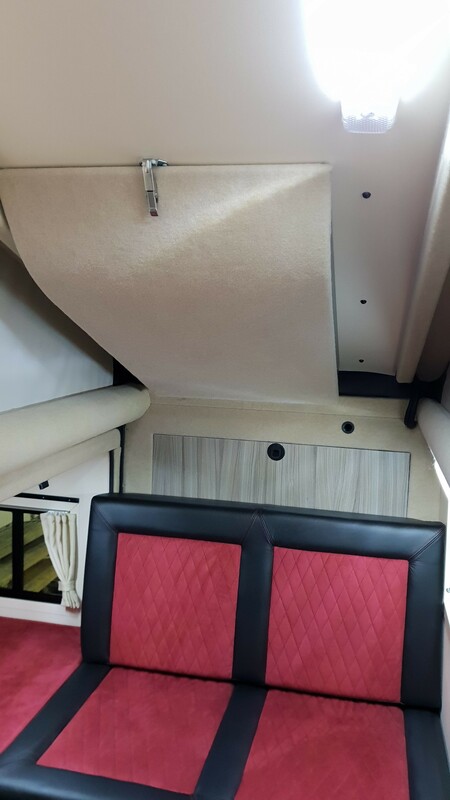 Here we can see a car close up behind the Dashaway. Highly recommended, especially for solo campers. Took the stress out of reversing into this small space. "Eyes in the back of your head?" well Dashaway! 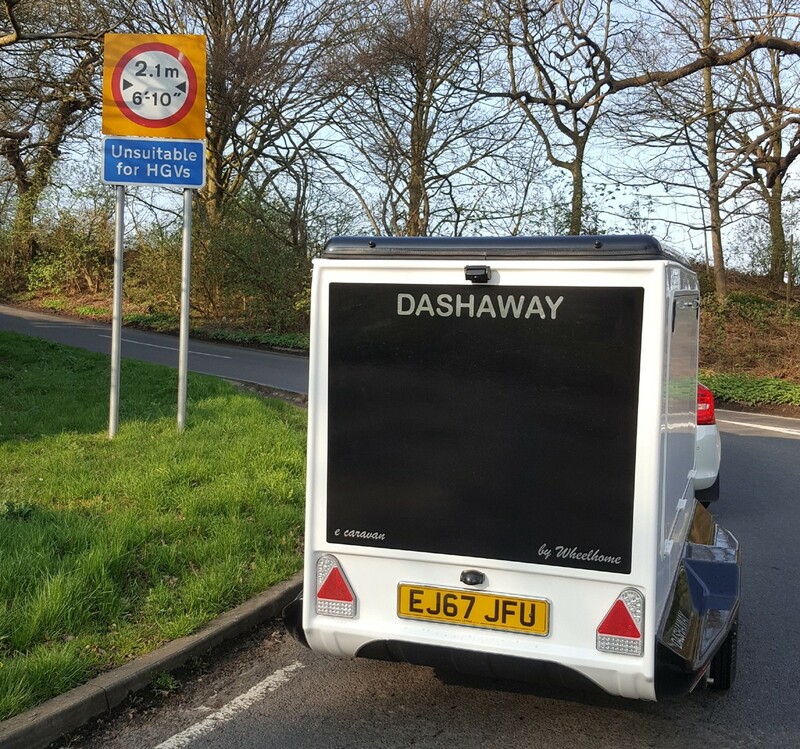 Dashaway has been tested from Shetland Isles to Lands End! 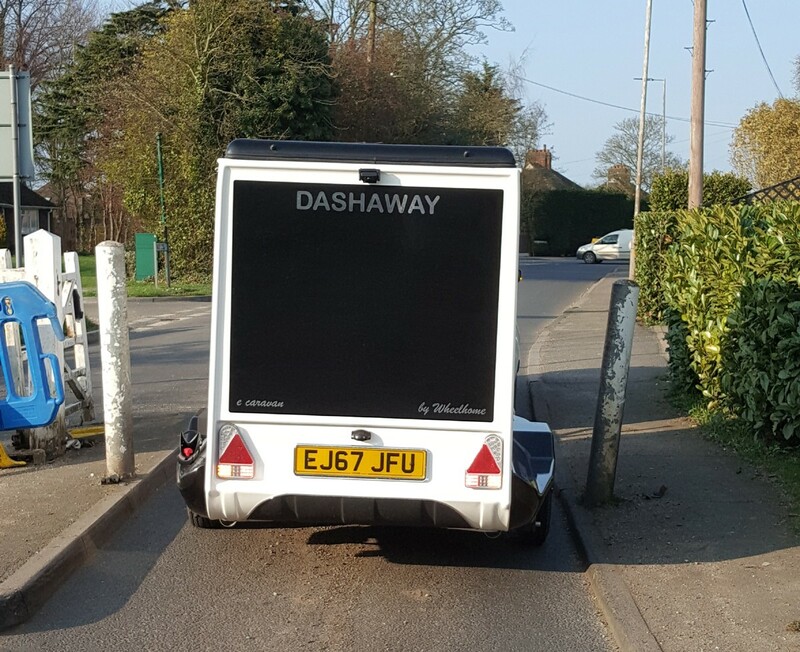 Width restrictions are not a problem, if the car fits through, so will Dashaway. Most northerly point in the U.K. (Unst, Shetland). Want to take your bikes with you? 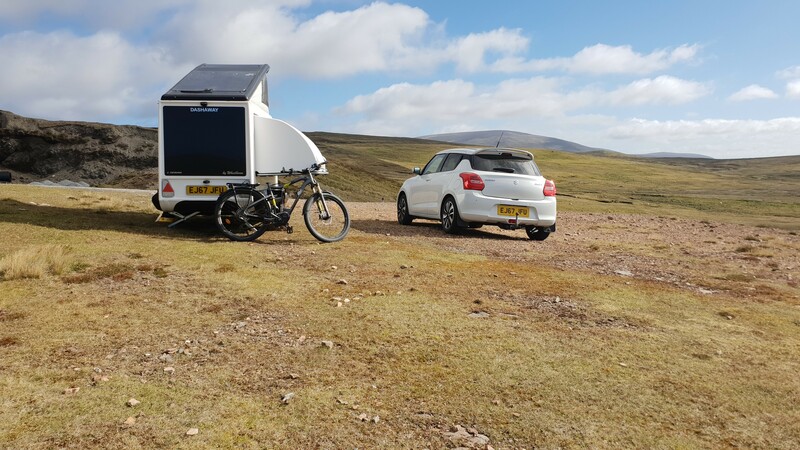 The innovative Dashaway can transport two bikes along it's sides, including electric bikes. Not only an economical means of carrying them but also being low to the ground, stable and very easy to load. Weight distribution/nose weight is uneffected as the weight is directly over the axle. That's thoughtfull design. 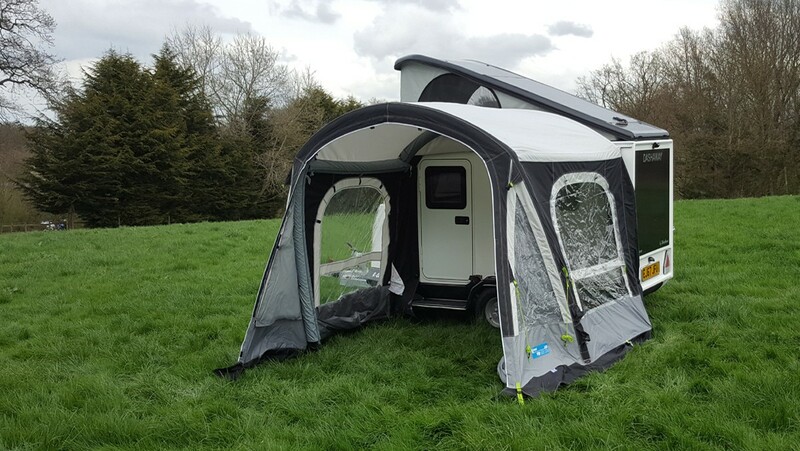 Kampa do a great blow-up awning for the Dashaway providing full headroom; Kampa Pop 260 AIR Pro with part number: CE7072. It can be fully enclosed. Bikes can be carried efficiently either side. Ahh. Shetland. Want to see some more stunning photos of Dashaway in Shetland? Click the Dashaway to Shetland tab. 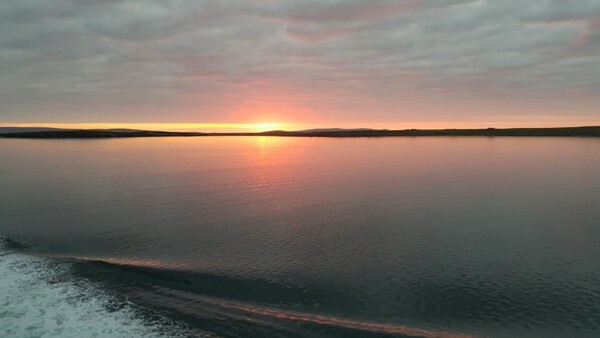 On ferry from Shetland to Orkney. What a treat.